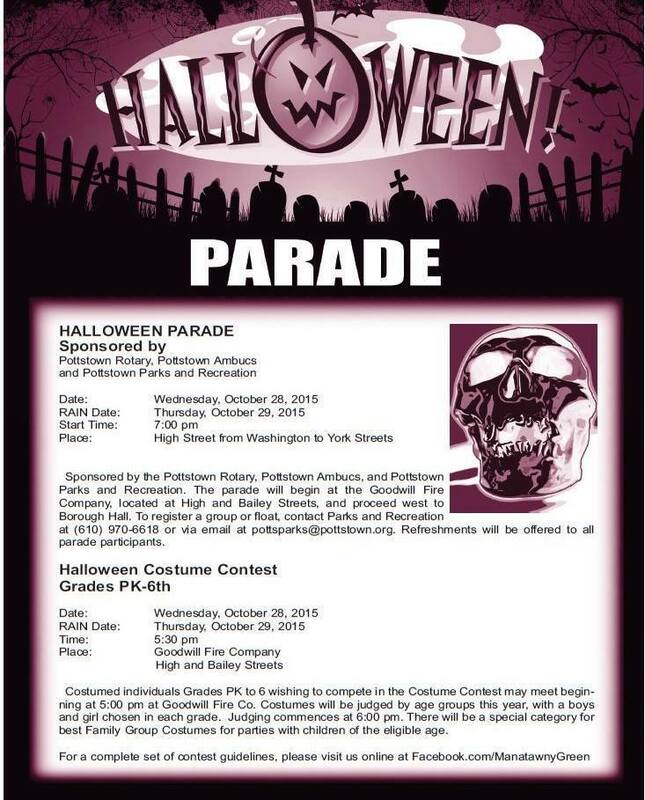 The 2014 Pottstown Halloween Parade will take place on Wednesday, October 22nd at 7:00pm on High Street. The second installment of the Arts Alive! 2014series,“Behind the Scenes” features Curtis Dretsch, stage designer for Muhlenberg Summer Music Theatre’s production of Monty Python’s Spamalot. Dretsch is the Director of Design and Technical Theatre for Muhlenberg College, and has designed sets, costumes, and lighting for more than 100 theatre and dance productions on local and national stages. Guests will get a glimpse into his design process—from concept to scale model to the completed stage set. “Behind the Scenes” will be held on July 12, 2014 from 11 a.m. to 12:30 p.m., at the Trexler Pavilion for Theatre & Dance, Muhlenberg College (2400 W. Chew Street, Allentown, Pa.). Tickets are $10 for Members / $15 for nonmembers; space is limited. CLICK HERE TO PURCHASE TICKETS FOR “BEHIND THE SCENES” ! Allentown, PA – Muhlenberg College Theatre & Dance will remember Mildred Greene, long-time costumer and costume designer, with a special exhibition of her work Feb. 5-27. The exhibition, titled “It Fits, You’ll Wear It & Love It,” will honor Greene’s impact on the department and its productions. Greene built and designed costumes for the Theatre & Dance Department and Muhlenberg Summer Music Theatre from 1979 until her retirement in 2003. During her 24-year career at Muhlenberg, she designed and produced thousands of costumes for the stage. The exhibition will feature costumes as well as photographs of Greene’s design repertoire spanning her Muhlenberg career. A free reception for the exhibition will be held Friday, Feb. 7 from 4 to 6 p.m.
Greene’s skill, expertise, and no-nonsense charm endeared her to her colleagues and hundreds of students, according to Curtis Dretsch, professor of design and technical theater. “Mildred could do more, with less, more quickly than anyone else I’ve ever known,” Dretsch says. Greene was destined to create costumes for the stage, as her father was an upholsterer and her mother sewed clothing and dance costumes for the family. She worked in New York City during World War II as a pattern maker for McCall’s Pattern Company while also work in alterations shops honing her construction skills. Muhlenberg College is a liberal arts college of more than 2,200 students in Allentown, Pa. The college offers Bachelor of Arts degrees in theater and dance. The Princeton Review has ranked Muhlenberg’s theater program as in the top twelve in the nation for the past seven years, and Fiske Guide to Colleges lists both the theater and dance programs among the top small college programs in the United States. Muhlenberg is one of only eight colleges to be listed in Fiske for both theater and dance. “It Fits, You’ll Wear It & Love It” runs Feb. 5-27. The exhibition will take place in the Galleria Lobby, Baker Center for the Arts, Muhlenberg College, 2400 Chew St., Allentown. POTTSTOWN, PA — Sometimes people have to be scared into action. And so you could say that perhaps one of the best things that ever happened to the Pottstown Halloween parade was that it was almost killed off last year by lack of funding. Among those who stepped up into the breach, providing a needed infusion of funds, was the Stichter Lodge No. 254, F & AM Masonic Lodge which, earlier in the year, had a scare of its own. Large pieces of cornice work had fallen off their landmark building on North Franklin Street and the members were not sure how to pay to repair it. The annual Pottstown Halloween Parade will be held on Wednesday, October 24th at 7:00pm in downtown Pottstown. Just when you thought it was safe to go back into the water…..
A car full of people dressed as zombies crashed on Interstate 84 near downtown Portland. The car rolled over and landed on its top. When emergency crews arrived at the scene it appeared as though everyone was seriously injured. All five occupants were taken to area hospitals but had non-life threatening injuries. The undead were on their way to a party at the time of the crash. Police are investigating further to see if more zombies fled the scene on foot before emergency crews arrived. It is amazing how a little zombie makeup can confuse everyone. Fortunately, no zombies were seriously injured or killed as a result of the crash. Grace Lutheran Church & Preschool, 660 North Charlotte St., Pottstown, PA 19464 is having a Fall Saints Festival on October 30th from 6:00 pm to 8:00 pm. There will be fun activities for the whole family. Food, costume parade and BINGO! If you are looking for a non-scary and safe environment to celebrate Halloween with your small children this would be a great idea for you. The Fall Saints Festival is open to the public and free of charge. For more information contact the church office at (610) 323-9320.